The Italian goldsmith, Robert Demeglio has designed a unique collection of moving diamond jewellery based on an ancient goldsmith technique. 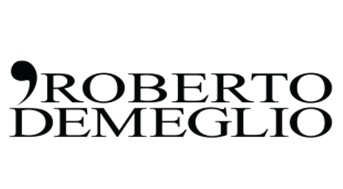 Roberto Demeglio is the son and grandson of a goldsmith and learnt the craft of a goldsmith as a child. By using his vision and creativity he added innovation to his brand by using advanced techniques such as CAD-design and other modern technologies. All the jewels are hand finished and the gems are set by hand. The collections of Roberto Demeglio bear names like Gioconda, Anaconda and Giotto. The bracelets, necklaces, pendants and rings are set with precious stones like diamond, ruby and sapphire. But the most exciting aspect is that the jewels are flexible and stretchable. By varying three colours of 18 carat gold, wearers are able to combine and customise the jewellery to a very personal collection which is wearable for any occasion.